Keeping on top of our irrigation programme is a real challenge during the dryer, warmer months. 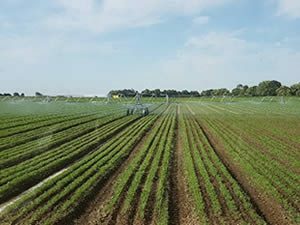 The application of controlled amounts of water to the crops, at needed intervals is essential for healthy crop growth. This is a period when we really do welcome rainfall to give us a helping hand!